The World Peace Angel tells us the time has come for us to choose new behaviors that are aligned with peace. To praise the light instead of the darkness. To focus on what we want rather than what we don’t want. To let go of limited thinking and illusions and spend time visualizing how wonderful it will be to live in a world that is truly at peace. The time has come for us to raise to a new level of spiritual understanding. 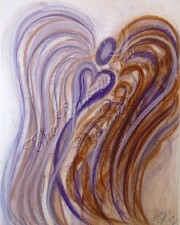 This World Peace Angelic Message Portrait is infused with the energy that will take us there. It helps us realize that when challenges arise, we needn’t rely simply on basic communication skills. We have it within our power, to connect with each other’s higher selves . . . And it reminds us to never, ever underestimate the power of prayer. 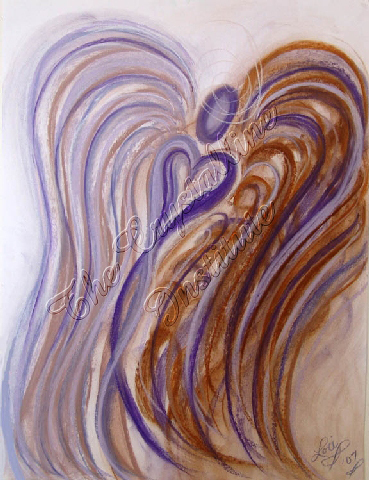 Buy NOW …This beautiful angelic artwork, was created by Visionary Artist and Angel Communicator, Lori Daniel Falk, to tell us the time has come for us to choose new behaviors that are aligned with peace. And to never, ever underestimate the power of prayer. Pastel Chalk on paper.